Week one-sixty-nine of Operation Graphite – theme: Fuzzy. When I think Fuzzy, I think of that rough, long and fluffy, fuzzy fabric fur that might have once been ultra shag carpet in the 70’s. Something about those rough synthetic fibers that don’t lay like nice fur, and could nearly hold a few kilovolts of static charge, that is what I think when I hear fuzzy. And like something from another time, I think of the puppets that wore that faux fur with style. Now that I have a good excuse to watch a lot of children’s programing, I’ve definitely find myself going back to the TV I watched as a small child, and that is a lot of Jim Henson. As a little kid, Bert and Ernie were my faves. Grover coming in close behind. Now that I’ve become older and much more bitter. Now I truly understand who the best character is. Not only could that green fuzzy monster be my soul buddy, I am astounded how such a character existed. Have you ever seen another show aimed at such young kids, with such an antisocial, unpleasant personality, and one that wasn’t some sort of villain? 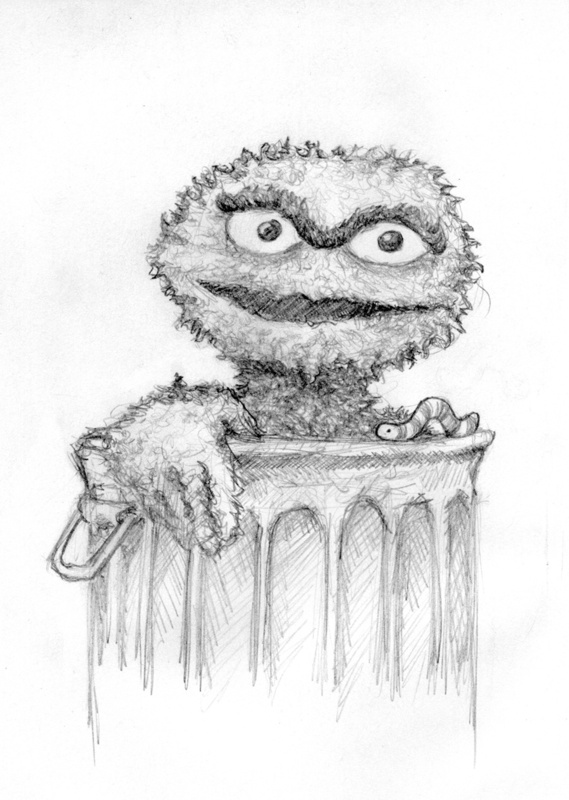 Oscar the Grouch is something unique and wonderful. He may have a hoarding compulsion, and he might have a sour disposition, but he is still treated like just another neighbor. I might be a tad curmudgeonly, and a bit of a pack rat, but seeing Oscar makes me happy. Perhaps he was intended to just be different. Maybe Caroll Spinney was doing a version of someone he knew, or perhaps Oscar was there to show we could just be be ourselves, even if people think you’re grouch.